For a while I’ve had a HTPC. At first it started out as an old laptop that I put a new hard drive in and installed Ubuntu Linux on, along with Kodi/XBMC. Near your TV though having yet another screen to clutter the display and no access to multi-channel audio (the laptop only had stereo out) made the laptop less than perfect. I camped out on Kijiji and found a guy selling an older case with mini-itx motherboard and older intel CPU. I was more interested in the case to be honest but oddly enough the mobo and cpu (and ram) fit in another server application I wanted to update so I used all 3 parts from the system I bought used. The case was one of Silverstone’s receiver-like cases, it looks perfectly normal sitting next to my receiver, XBOX, PS4 and myriad of devices I have in my home theater setup. I bought an integrated motherboard CPU combination (AMD APU) and some ram and threw it all in the case and was happy with what I had. I ran this way since 2013 but on a whim this last December I decided to find out how much a CPU upgrade would be since I was pretty sure that the motherboard was end of life (EOL) and usually that is a good time to upgrade the CPU to the maximum the motherboard will support to try and squeak out a little more life from the unit. I bought an upgraded CPU from TigerDirect (they’re usually pretty good at matching EOL hardware and CPUS). I decided to upgrade the power supply that came with the original HTPC case from the limited 380watt power supply to a used power supply from Kijiji. Normally a 750 watt power supply would cost at least $100 but I got a good brand name model from Corsair for $50 which was nice. The unit was hardly used and while the fit was tight (the power supply wasn’t modular so finding room in a tiny case for 400 power cables was tricky) it ended up working perfectly. At this point the HTPC was fine, the CPU/APU upgrade was significantly faster than the old APU I was using. By the way, APU is an integrated video GPU and multi-core CPU. APUs in general are perfect for building a HTPC since the APU takes so little space compared to a regular CPU/GPU combination. As usual though, camping Kijiji found me a GTX660 GPU, while not top of the line it was significantly faster than the APU, and more than double the speed of my full size computer’s GPU. 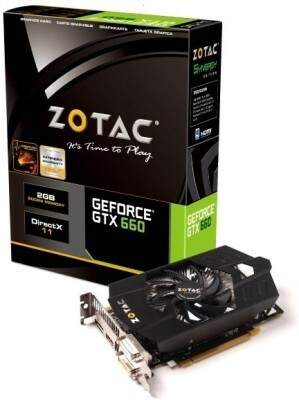 I reviewed the dimensions of the GTX660, they would fit inside the HTPC case and I had more than enough power connectors to feed the GPU so I bought the GTX used for $125 when new they were going for $209+tax. So now I have a HTPC that plays all my media files but will play most new PC games as well at framerates significantly better than the XBOX One or the PS4. Overall I’m happy with how it turned out. With so many more fans in the HTPC case it is a lot louder but when watching a movie or playing a game you don’t really notice the sound considering that my media case seems to help muffle a lot of the sound of the fans.